Group Discussion Ideas > Current Affairs GD Topics > High fuel prices in India – What are the causes? There is a huge criticism over high fuel prices in India despite having low crude oil prices internationally. Petrol and diesel pricing depends on several factors. Final retail price = crude oil price (international price of crude oil) + refinery charges + transport charges + dealers’ commission + Central Excise Duty (Imposed by Central government) + Value Added Tax (VAT) & surcharges (Imposed by state government). Among all these factors, the main thing is crude oil, which is a raw material for petrol and diesel. But the retail price is more than double the price of crude oil. In 2014, one barrel of crude oil was priced at $105, and now it is at $74. But the present retail price of petrol and diesel are higher than the prices in 2014. Because taxes on petrol and diesel are continuously increasing. At present, approx 48% of final retail price is taxes (Excise duty, VAT & surcharges). This is the main reason for the high fuel prices in India despite low crude oil prices internationally. Petrol and diesel are not in the ambit of GST (Goods & Services Tax). If they come under GST, taxes would be lower and hence the retail prices. The efficiency of petroleum refineries in India are one of the worst in the world. This is contributing to the price rise of petrol and diesel. India is third in the top countries that use crude oil after USA & China. But the problem is that India do not have much oil reserves. 80% of the crude oil we use is imported. This is a huge burden on foreign exchange reserves (with which we import goods from other countries). To tackle with this situation, government is imposing high taxes to discourage usage of petroleum products. Government is of the opinion that high prices will force people to conserve oil and to use alternatives such as electric vehicles and renewable energy resources. More and more people are buying their own vehicles and hence the demand for petrol and diesel is increasing and thereby the pressure on foreign exchange reserves and ‘Trade deficit‘ are increasing. This will further lower the value of rupee. To deal with this, government had to increase taxes. Majority of the revenue from fuel is spent on improving infrastructure facilities, which is the most important need for the present India. Indian government is giving subsidies to electric vehicles. So, to compensate that expenditure it had to increase taxes on fuel. Vehicles that run on petrol and diesel are contributing to pollution. Reducing taxes on petroleum products will result in reduction in costs of transport and thereby reduces the price of many consumer goods. This will result in increase of markets and economy. Instead of depending on these taxes on petrol & diesel, Indian government needs to create more revenue sources such as increasing the number of people that pay income tax (Right now only 4% of the population is paying income tax), collecting bad loans of public sector banks etc. There is a dire need to encourage people to conserve oil and to use renewable energy resources. This will reduce the burden on foreign exchange reserves as well as leads us towards eco-friendly living. If the crude oil prices are increased in the coming days, there will be a huge burden on people whether they own a vehicle or not. Because high fuel prices increases the cost of transport and thereby increases the price of consumer goods. To avoid that situation, government needs to work on reforms in petroleum pricing. Afterwords :- What is your opinion on this topic? Express your thoughts in the comment section below. Subscribe to our blog to read answers to trending GD topics. price hike is good some what but its cost should not increase exponentially. advantages of price hike are,getting more tax and use it for infrastructure development like school, college , road, hospital etc.people will be discouraged to buy more vehicles which ultimately reduce air pollution and they will use public transportation. people will less dependent on oil by using the electric vehicle .so that our foreign exchange reserve will become strong and ultimately our rupee will be strong. It is very useful thank you. people should be encouraged to opt for car and two vehicle pooling, which will reduce the use and dependence on fuel and ultimately it will reduce the amount we spent on its import. In past few days, Petrol and Diesel price are at the peak and becoming history. Govt claimed that they are not at all responsible for hike in fuel price. Although Major part of fuel price comprises of various taxed being levied by Central & State Govt. One of the measure to reduce the fuel cost is that the central Govt should reduce taxes on crude oil and royalty payment etc as well as respective state govt should cut in vat rate levied thus it would reduce the fuel price to some extent. Second measure is that govt should encourage the uses of Electric driven vehicle that would reduce the dependency/import of crude oil also help in diminish the air pollution as well. To move in this direction, Govt is now planing the 100% electrification of railway network by 2021-22 which will reduce the fuel cost bill by 13510 Cr per year. Also Govt is now planning to setup ethanol plant due to which petrol and diesel cost reduce to Rs 55/litre. In India 25% of Crude is explored and produced by Nation Upstream companies and remaining 75% crude oil are imported for which India have to repatriate in foreign currency. Hence to reduce the burden on Forex reserve and pollution, people of india should use EV/Bio fuel as an alternative and Govt should also take concrete step in this regards. 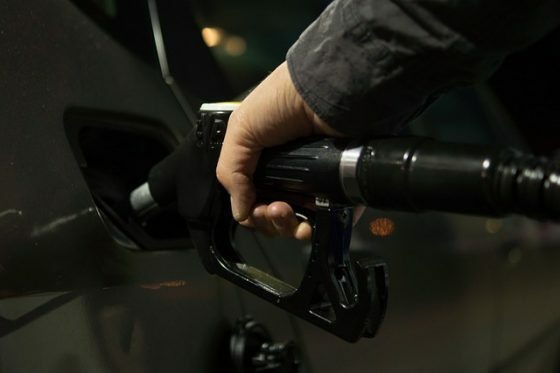 According to me high fuel prices in India -first of all populations are increasing day by day as well as vehicles are increasing day by day as a result huge demand. Secondly taxes is very high in fuel prices of central government and state government. Last 15 days fuel prices has been increased and yesterday it has been dipped one paise . Peoples life is getting miserable as not only fuel prices increase , indirectly all the daily essential prices has been increased because of transportation charges. Petrol is the item everybody has to purchase there is no alternative.Yes nowadays battery operated vehicles are there but you can’t compare with petrol vehicle. I want to share my personal experience – I had purchased a battery operated two wheeler it costs 32000/- but it was after one year Battery has got damage and the battery was available in the market but if I purchase then I have to purchase four battery ,it costs 12000/- it was not possible for me after in year to spend 12000/- then I have decided I will sale this one and I have sold this one 10000/- so after one year I have loss 22000/- then I have purchased one petrol operated two wheeler last eight years it has been running thee is no problem. So central government and state government both has to take to action to reduce the taxes and infrastructure of the oil refinery and reservation capacity. The high fuel prices is not only affecting the day to day life of many people but also thriving people to use of alternative sources of fuel. TRANSPORTATION”.THIS RESULTS DAY TO DAY TRAFFIC CONGESTION ,UPRISING DEMAND OF FUEL USAGE AND ALSO POLLUTION. >Govt should encourage people to use public transportation in their working hours. >their should be a positive approach for the usage of battery driven and electric-hybrid vehicle as the mode of transportation.this also reduces petrol/diesel dependency. >many reputed automobiles companies should design their products as per the use of least fuel demands and better efficiency. >Its time to change the dependency on diesel/petrol and approve bio-diesel as alternative fuel. Lastly high fuel price only be fixed by attaining alternative solution to meet ongoing demand,introducing fuel reservation infrastructure and also must have public awareness of using vehicles. agree with Tinku regarding cost of replacement of battery. Just like in many so called advance countries they are cutting coat by sending utility bills by internet instead of paper bill, putting charges for creating bills. Customers have to bare costs of all the equipment’s and line rental / service charges. Instead of depending on the taxes on petrol & diesel, Indian government needs to create more revenue sources and go bit hard on those who deliberately try to avoid such taxes, for example fiddling with electricity meters and charging more for government service to cover bribing the officers concerned. True! There should be more efforts and incentives to encourage electric vehicles, so that it will not take much time to reduce the dependence on fuel. Also replacement and maintenance costs be considered. The government has to put some investment in developing public transport system to attract public to choose over their private ones. And we public should support it, simply because we in a society, sharing the common mother nature. Fuel has been a threat for environment, economy, health and social life. People have to practice natural ways as walking, cycling and group/public transport etc. It is awareness, very much essential. This is bit difficult as population and area of cities, towns and villages has increased and still increasing.